Since its introduction into Belizean waters a few years ago, the predatory lionfish has been frowned upon as an unwanted specie. The striped scorpion fish is known to feed on juvenile fish, greatly reducing the existing fish stock. 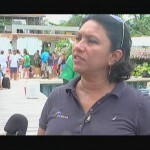 In trying to diminish its numbers Oceana partnered with the organizers of the annual Placencia Lobster Fest to host a one-day competition which saw divers and fishermen gathering as many of the greedily destructive fish as they can. The winners will walk away with a generous cash prize on Saturday. 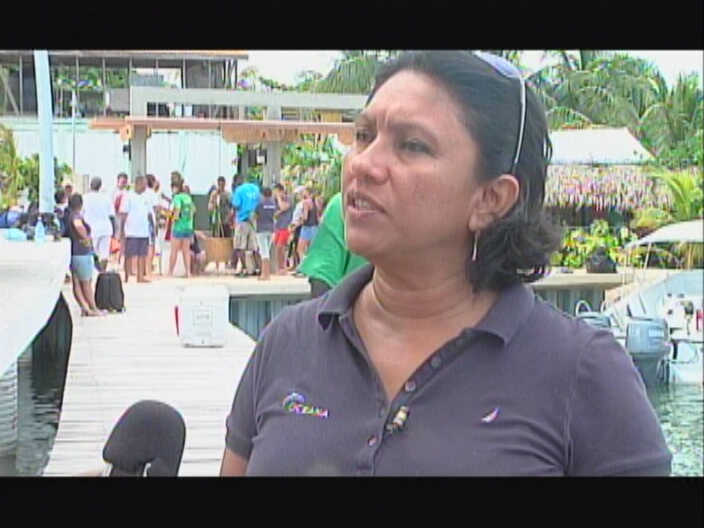 News Five’s Isani Cayetano was in Placencia today and has the following story. The annual Placencia Lobster Fest got underway today on the peninsula with a lionfish competition that saw three teams of divers vying for the most catch, the biggest and the smallest of the ravenous specie. 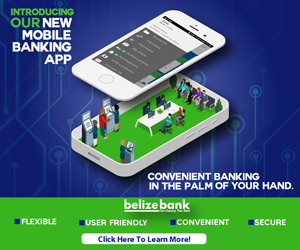 The tournament, organized by Oceana in Belize, was held in an effort to raise awareness about the pervasiveness of the lionfish and its impact on Belize’s fisheries. 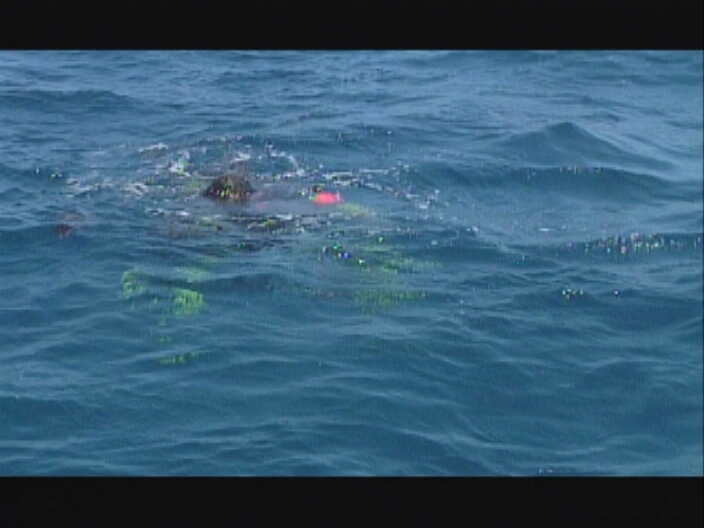 Participants in the competition set out to sea early this morning, where the individual dive teams, made up of five members, descended to a depth of about sixty feet. Down bottom they collected as many lionfish as they could gather within the time allotted. Leading the scientific survey of the fish’s presence in southern waters is Jennifer Chapman. “One of Blue Hole primary objectives is to develop a market for lionfish—both locally and international. And lionfish are such…have a negative effect of our reefs and they also provided us with an alternative sustainable environment. With great potential it tastes delicious and three interviews and questionnaires with locals and tourist alike and restaurant owners, one of the major barriers to actually this market taking off was having a central handling facility—someone who they can reliable go to to buy their fish and also that fishermen can reliable go to sell their product. 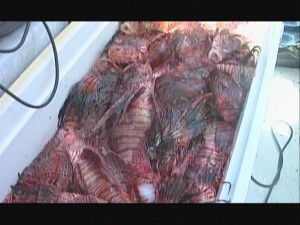 A market for lionfish in Belize is just getting started. 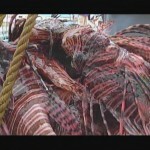 It is anticipated that today’s catch will be processed for export to the United States. Depending on the outcome of the initial shipment plans will be made to export larger quantities of the fish in an effort to mitigate its numbers. Placencia Lobster Fest continues on Saturday and Sunday. The results of the lionfish competition will be announced on Saturday. Reporting for News Five, I am Isani Cayetano. 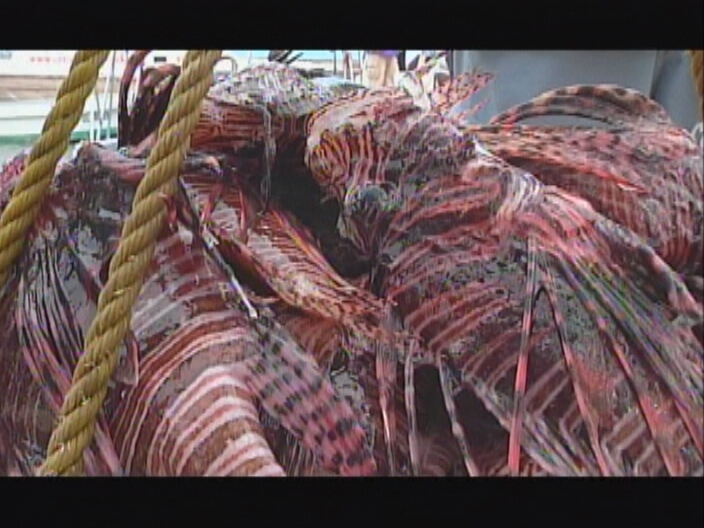 We’ll have more on the lionfish in next week’s newscast. Love reading every day your news. Media personality, Glenn Tillett, wins case against G.O.B. BMDU supports PAHO report recommendations for K.H.M.H. Upgrades pending for the K.H.M.H.